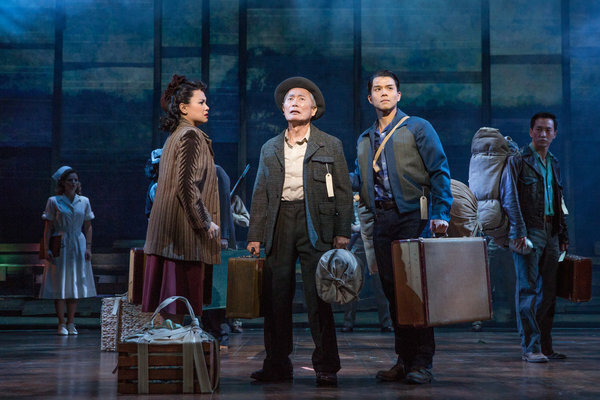 The reviews for Allegiance are in, and though the ambitious mission of the new musical is universally admired, the execution is, unfortunately, not. The sweeping tale is inspired by the memories of George Takei (the ever-loved Star Trek idol) and lends personal perspective to the shameful period of Japanese-American internment in World War II. On paper, it’s intriguing, especially with Takei himself and Tony-winner Lea Salonga topping the cast list. In reality, though, the musical suffers from poor conception, unimaginative direction and design, and an overwhelming earnestness. The musical is certainly unique and full of heart, but when it comes to storytelling on Broadway, that’s just sometimes not enough. If it’s by Takei, you already know it’s going to be amazing.